Hello there, thank you for taking the time and checking out our first blog post in the lead up to OEC 2019! In case you don’t know what the Ontario Engineering Competition is — or OEC for short —, it is a 3 day event that takes place every year at a different host school in Ontario. The OEC features more than 300 students from 16 different institutions of higher learning across the province. Student teams qualify for the OEC by winning 1st place at their school’s qualifier competition, and then compete at OEC for the chance to compete at the Canadian Engineering Competition. 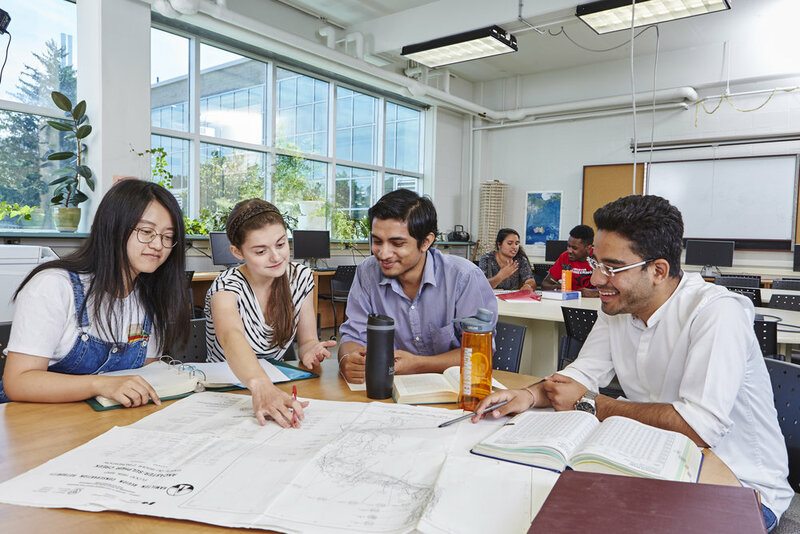 Students are judged by corporate representatives, giving them an opportunity to gain real-world experience in addition to professional feedback on engineering and communication problems. In short, it is a jam packed weekend full of challenging competitions, forcing students to think quickly on their feet and find novel solutions to complex problems. But much more than that, it is a celebration of engineering. Featuring reputable sponsoring companies and engineering professionals, engineering students get an opportunity to network with peer students and engineering professionals to help bridge the gap between engineering students and professionals in their respective field. So far in our planning process, it has been 242 days since our formal bid to host the competition at McMaster University. We were fortunate enough to secure it, and since then, we have been hard at work with the rest of the members of our Organizing Committee to make OEC 2019 not only a reality, but an unforgettable event for all participants. Our Organizing Committee consists of 10 members, excluding ourselves. These individuals are, and have been, heavily involved in the engineering student life at McMaster University and have already made irreplaceable contributions to OEC 2019 in such a short amount of time. These members are responsible for, or share responsibility for, the 8 unique competitions tasked to students, the logistics of making OEC 2019 come to life, corporate partnerships that make the OEC a possibility, the financial expertise to create and manage the budget, branding and management of communications to get our name out there, and our advisors that provide guidance throughout our planning. Click here to learn a little more about them! We also have a group of 8 students who are the Competition Leads for the 8 unique competitions that occur at the OEC. These students have been working hard in order to come up with fun, challenging and innovative problem statements for their respective competitions based on our chosen theme of Urban Development in Hamilton, Ontario. As well, another large part of our success has been our Faculty's guidance and support. So far, multiple members have taken the time out of their day to meet and work with us to realize our goal of hosting a fantastic OEC at McMaster University. From general meetings to touch base, to connecting us with professionals in the community, they have let our team's ideas turn into actual opportunities in our planning process. And that's a wrap! This post was meant to be a small recap of our objectives and our progress so far towards completion. Stay tuned for more blog posts as we share more specific stories of what we are up to in the countdown towards the 2019 Ontario Engineering Competition!